Whether you’re raising cattle in Queensland, growing grain in western Victoria or managing sheep in Gippsland – your operation will no doubt rely on the efficient storage of diesel. 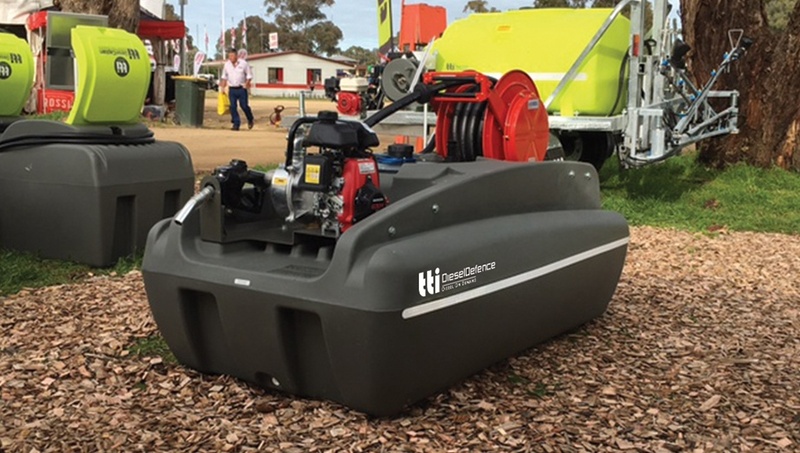 It’s essential to power harvesters and generators, keep the fleets moving, transport you around the property and get your product to market. Fuel, despite the fuel excise rebate, is one of the largest cost inputs into farming. Therefore it’s in the farmer’s best interest to ensure that not only is their fuel stored safely but effectively as well. Below we explore five of the most common issues regarding diesel fuel storage. Are Poly Tanks Safe to Store Fuel? With specifically formulated diesel grade polyethylene, you won’t go wrong using TTi’s industry-leading storage and transport tanks. There are several reasons why modern poly fuel tanks outperform their steel counterparts. For starters, the major safety problem with steel diesel tanks is rust, whereas our poly tanks obviously never rust! 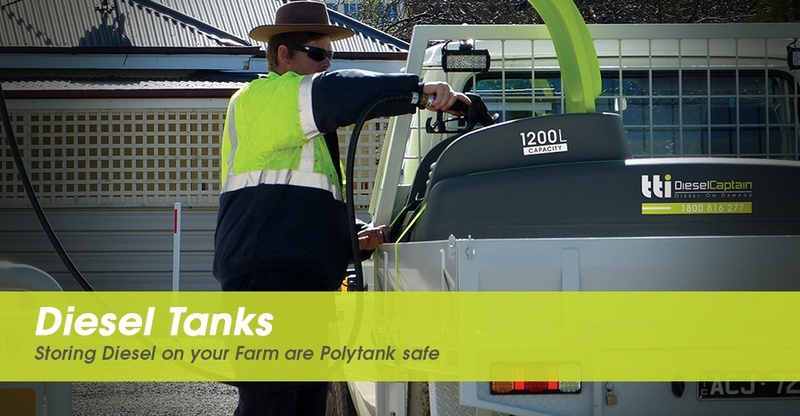 And the lightweight nature of poly is ideal for use as transport tanks, whether the vessel is mounted permanently on a trailer or paired with a forkliftable galvanised steel frame. Because they are UV stabilised and impact resistant, modern polyethylene tanks stand the test of time and require very little maintenance. 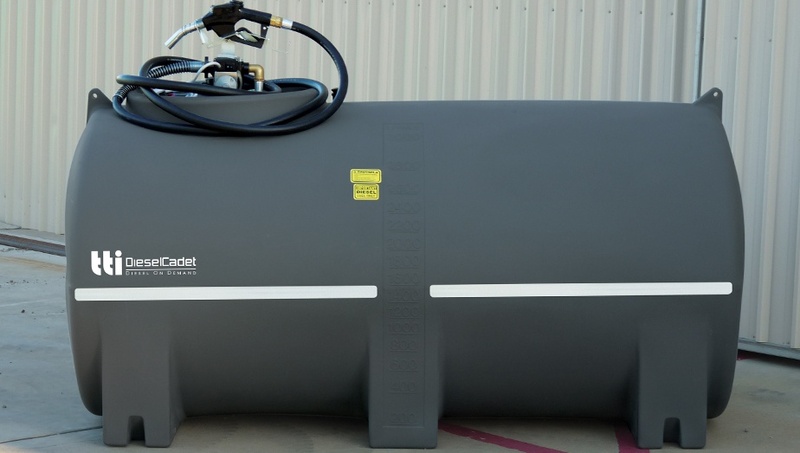 TTi diesel tanks are made from a material specifically designed for use in rotationally moulded diesel tanks and have been tested to ensure it meets the mechanical and chemical resistance requirements of International Regulations. How Long Should Diesel be Stored For? If you ask different people this question, you will likely get different answers. That’s because the storage life of any fuel is dependent on the conditions. The key is keeping the fuel cool and keeping the fuel dry. Under ideal conditions, diesel fuel can be stored between six and 12 months. To extend the life past 12 months it needs to be treated with fuel stabilisers and biocides. The major contaminant of stored fuel is water. It can enter the system through leaks, condensation, from the fuel supplier or through vandalism. Minimal amounts of water from condensation in underground and on-ground tanks can be dealt with by adding the appropriate diesel de-waterer. If a large amount of water exists, the only solution may be to have the water pumped out. 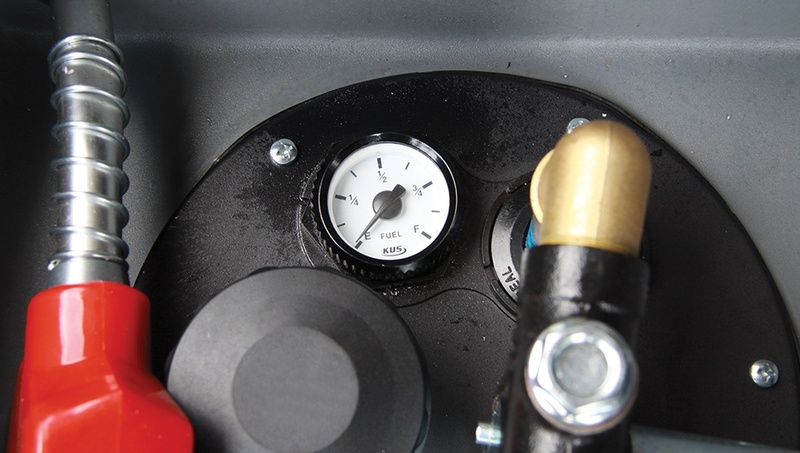 In overhead tanks, water can be drained by removing the drain plug on the bottom of the tank. This is best done when the tank is almost empty. Remember – contamination of your engine’s fuel system can be minimised by not refueling within 24 hours of delivery. This will allow any small sediment particles to settle below the discharge height. TTi provides a wide selection of accessories, from hoses and fittings to flow meters. Unfortunately, theft is a frustrating yet common situation to deal with for many in the agricultural and industrial sectors. Fuel theft can vary from a nuisance factor to a substantial financial cost. Many farmers are often unaware their fuel is being pinched – so keep track of purchases and usage to know if there is an unexplained disappearance. What is classified as ‘minor storage’? Diesel is not as volatile as petrol and is classed as a combustible liquid (flash point above 60.5 degrees celcius). The separation distance from an ignition source must be eight metres. However dangers still exist with diesel and these should not be ignored. In addition to separation of fuel storage tanks from ignition sources, there are other separation requirements Some of these vary with the volume of the tank, and for more detail on this refer to AS1940. Storage on land which has an area exceeding 2 ha and is intended for agricultural, horticultural, floricultural or pastoral purposes, and not for resale, is deemed as minor storage (AS1940). This means that, where two or more storage tanks are separated by more than 100 metres, each storage may contain up to 10000 litres for combustible liquids (diesel) without the need to fully comply with the requirements of AS1940. However for safety, it is recommended that the storage should comply with this standard. » Liquids shall not be for sale or commercial distribution. » Liquids shall be kept at least 1 m away from any boundary, workshop, dwelling or protected place, body of water, watercourse or environmentally sensitive area. » The ground around the store shall be kept clear of combustible vegetation or refuse for a distance of at least three metres. » Any potential flow of spillage shall be prevented from reaching a protected place, watercourse or property boundary by such means as the use of natural ground slope or the provision of a diversion channel, kerb or bund.